Priser på sejl til T 33, T 34, T780, Tabasco 26, Tailwind 21, Tailwind 33, Tailwind 36, Tango 30, Tarac 33, Taranga 1040, Tarantelle, Targa 101, Targa 96, Tarsonkrussare, Tartan 34, Tayanna 48, Taylor 38, Taylor 40-1, Taylor 40-2, Taylor 40-3, Tazwell 49, Tboat T 830, Tempest, Tequila, Terne, TES 32 Dreamer, TES 550 Master, TES 678 BT, Tetis, Thomas 35, Thurø 33, Ticon 30, Tiki 22, Tiny, TMI 26, TMI 27, TMI 30, Tobago 35, Tocas 31, Tomahawk, Tomahawk 25, Tonic 23, Topaz, TOR 40, Tornado, Toucon 35, TP 52, Tradewind 33, Trapper 28, Trapper 300, Trapper 500, Trias, Trident 27, Trident 80, Trintel II A, Trintella 44, Trio 80, Trio 92, Trio 96, Tripp 26, Tripp 33, Tripp 36, Tripp 37, Tripp 38 , Tripp 40, Tripp 42, Tripp 47, Triss 280, Triss 430, Triss 600, Triss Krydser, Triss Magnum, Triss Magnum (Triss 600), Triss Norlin (Triss 570), Triss Racer, Triss SX-2, Trissjolle, Trisskrydser, Triton 27, Triton 36, Trold 45, Trubadur 32, Trump 27, Trålaren, Tungwa 36, TUR 80, TUR 84, TUR 97, TWO Star 36, Tylökrydser, Tärnunge m.f. sejlbåde. 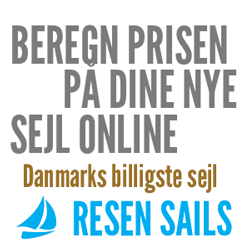 Resen Sails.